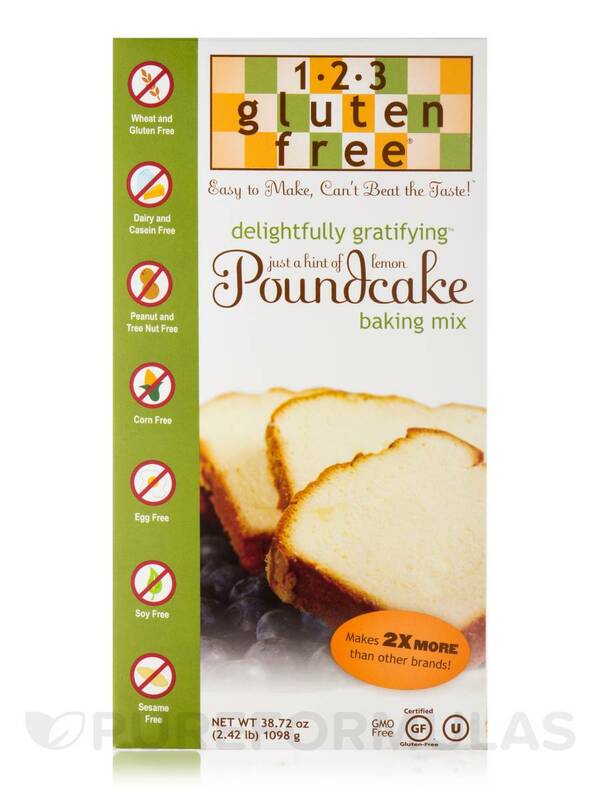 It is nice to be able to serve Delightfully Gratifying Poundcake Baking Mix by 1-2-3 Gluten Free instead of having to make two deserts. 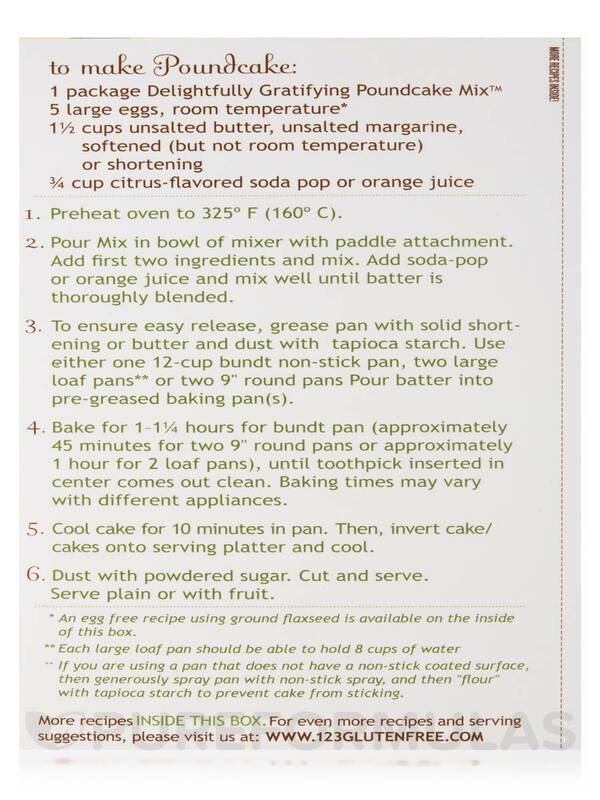 My mother has Celiac Disease and when I make this pound cake for her my other guest enjoy it also. Everybody likes a nice fluffy pound cake! 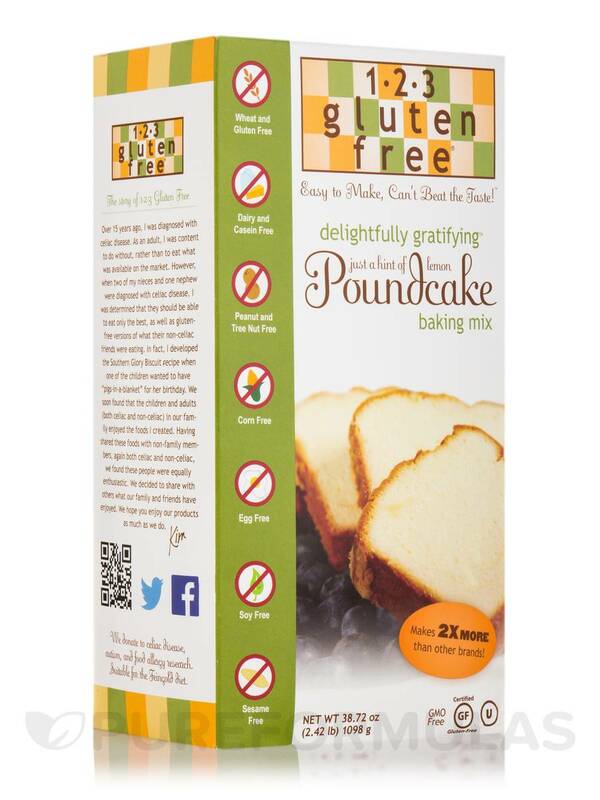 Now you can bake a gluten-free treat the whole family will love with this Delightfully Gratifying Bundt Poundcake mix from 1-2-3 Gluten Free. They’ve made it sugar free and you can add your own healthy sweetener to make the perfect cake! This mix yields 2 large layers of tasty poundcake with a slight hint of lemon. It’s great for a quick plain dessert or with fruit and your favorite ice cream. Get creative and explore the possibilities with this versatile mix. 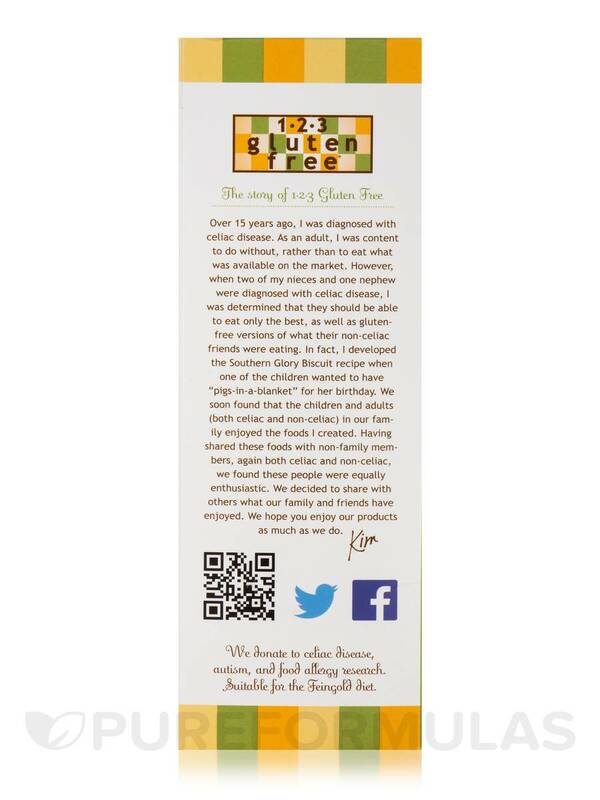 1-2-3 Gluten Free is committed to creating their mixes in a dedicated allergen-free facility. 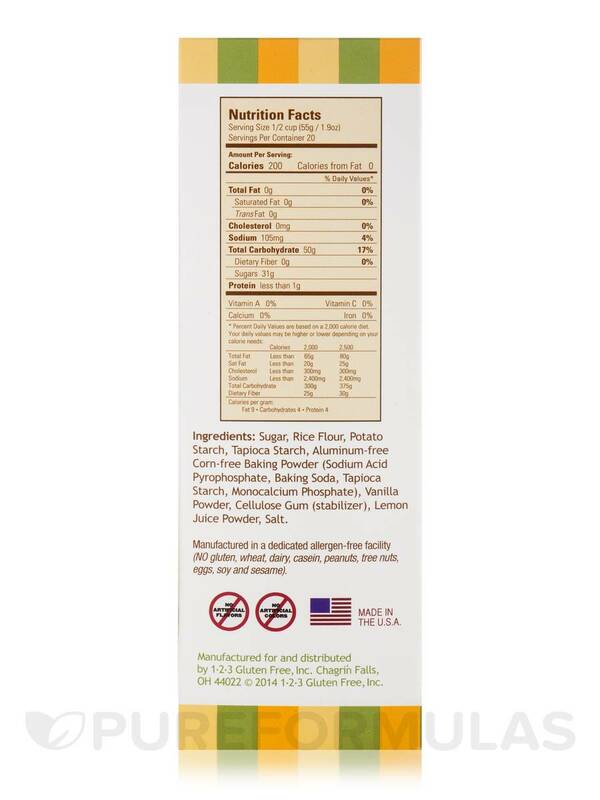 There is no gluten‚ wheat‚ dairy‚ casein‚ peanuts‚ tree nuts‚ eggs‚ corn‚ sugar‚ or soy. Try it today! We’ll make it easy with fast and free shipping on all orders. Did you place your order by 5 PM EST? It’s going out same day! 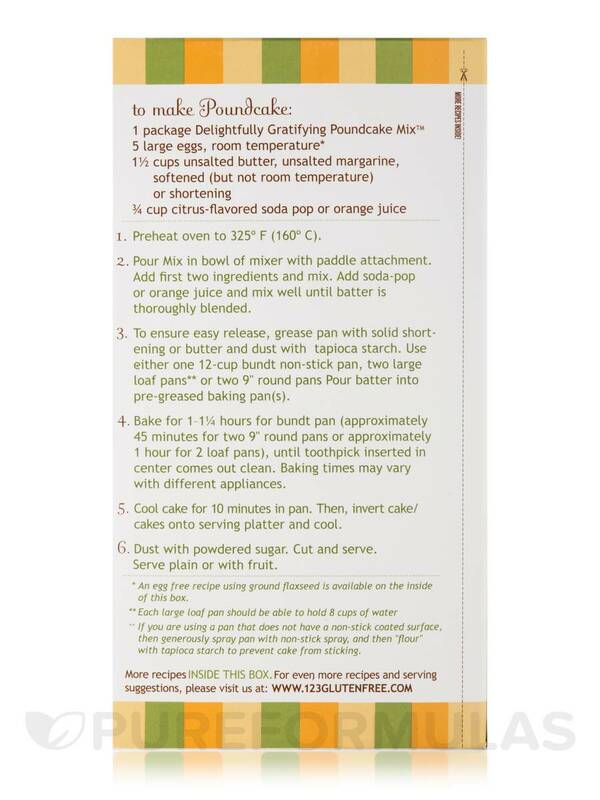 Start baking with a healthier poundcake mix and try Delightfully Gratifying Bundt Poundcake mix from 1-2-3 Gluten Free. 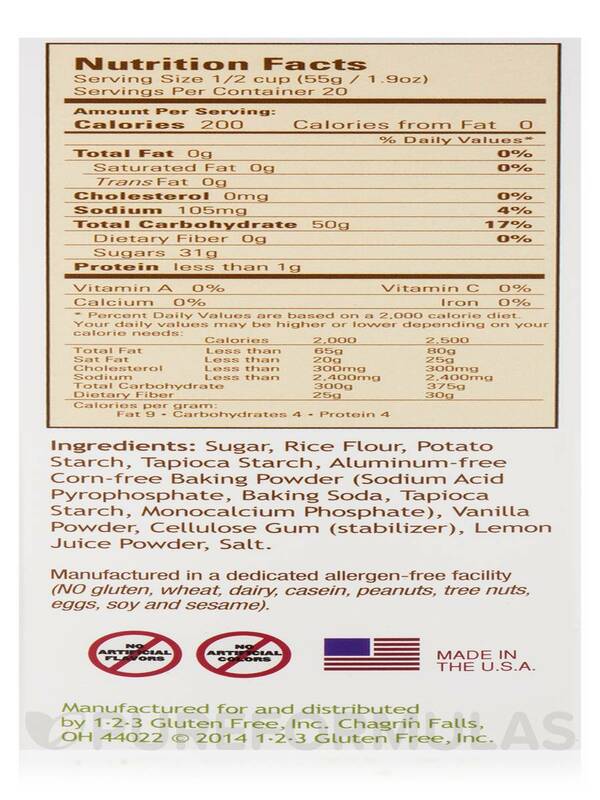 Ingredients: Sugar‚ rice flour‚ potato starch‚ tapioca starch‚ aluminum free corn-free baking powder (sodium acid pyrophosphate‚ baking soda‚ tapioca starch‚ monocalcium phosphate)‚ pure lemon powder‚ xanthan gum‚ salt. Manufactured in a dedicated allergen-free facility (No gluten‚ wheat‚ dairy‚ casein‚ peanuts‚ tree nuts‚ eggs‚ and soy). 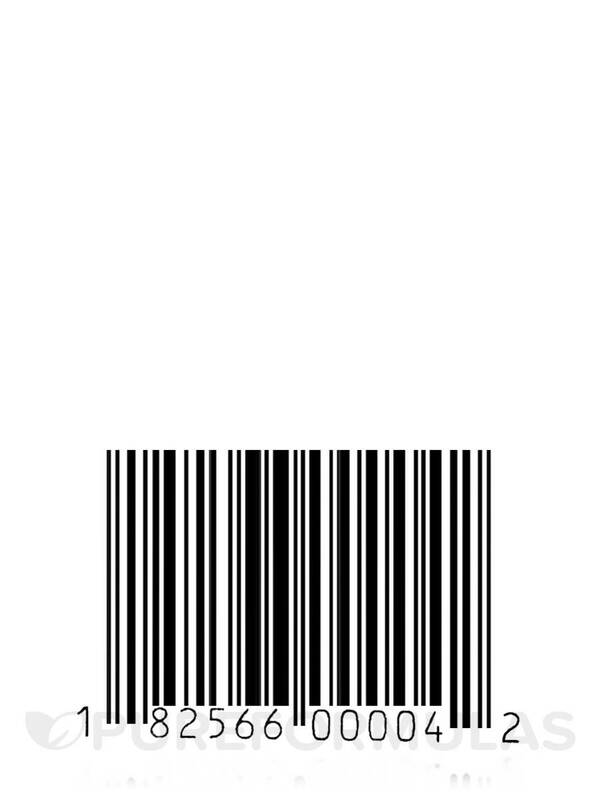 It makes a very large amount for one package. It is not in local stores. Best pound cake I have ever eaten! Delightfully Gratifying Bundt Poundcake 1-2-3 Gluten Free is easy to prepare and absolutely delicious. 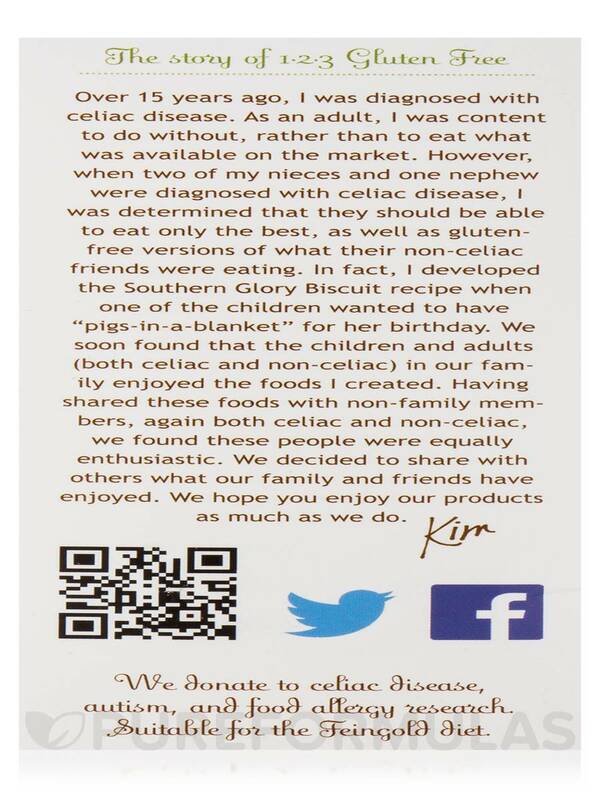 No one can believe it is gluten free. Taste is light and airy.